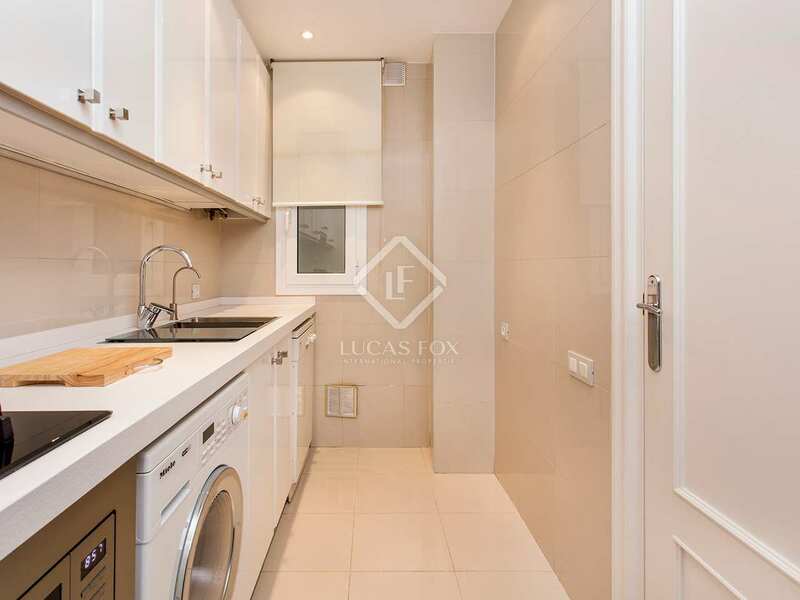 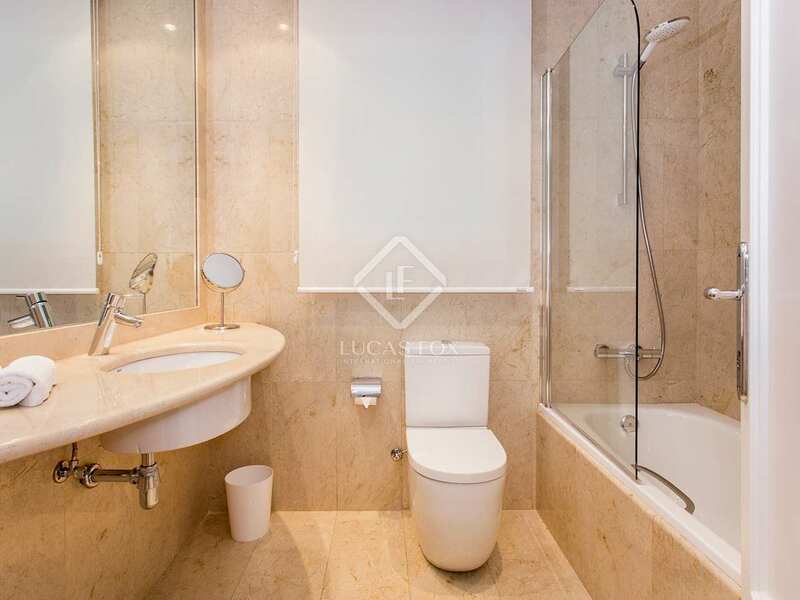 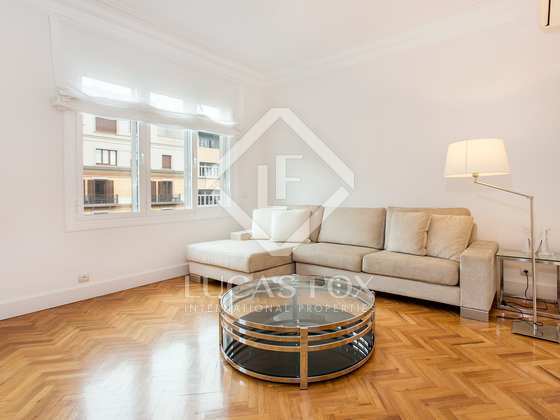 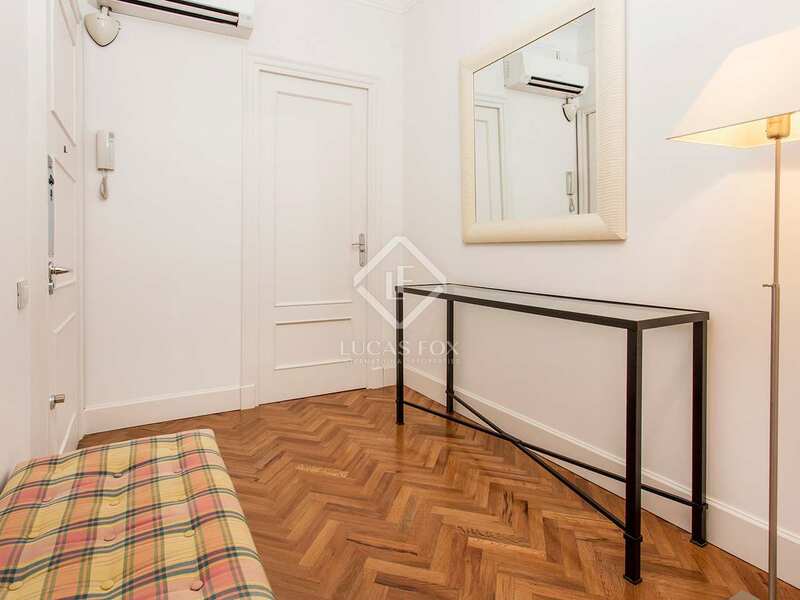 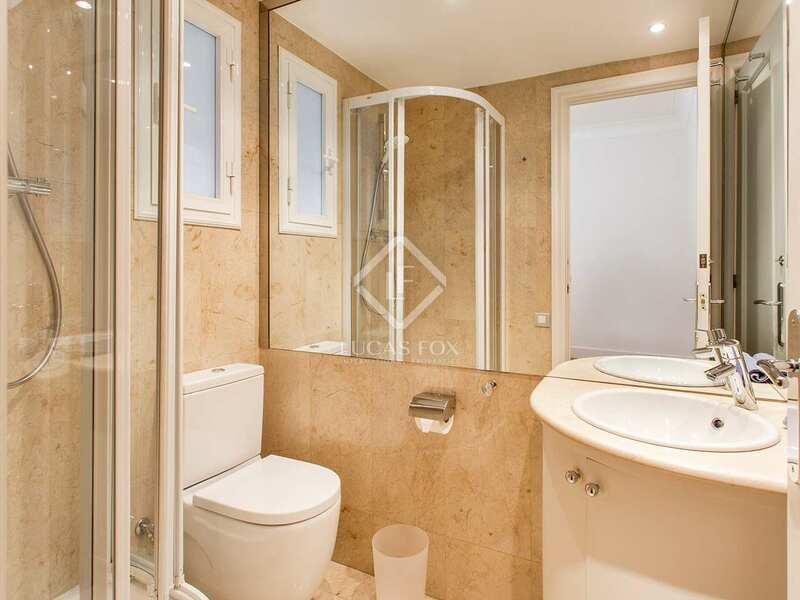 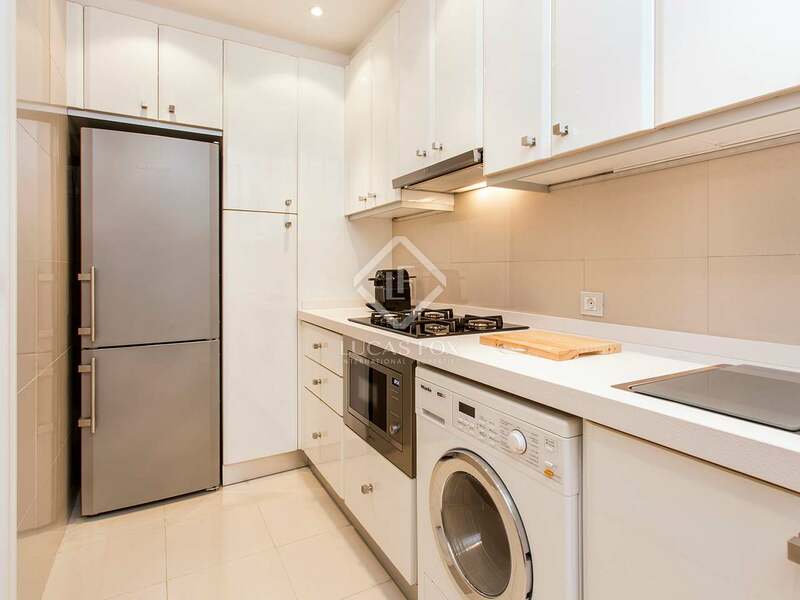 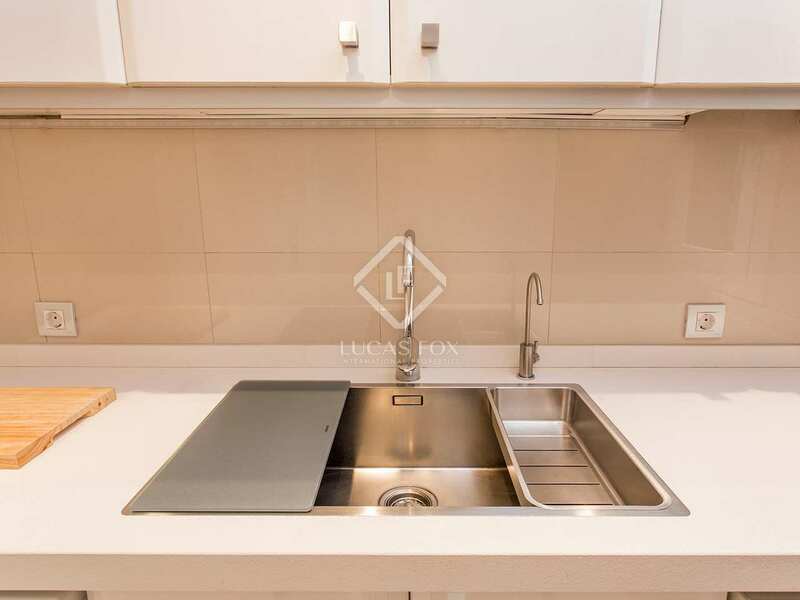 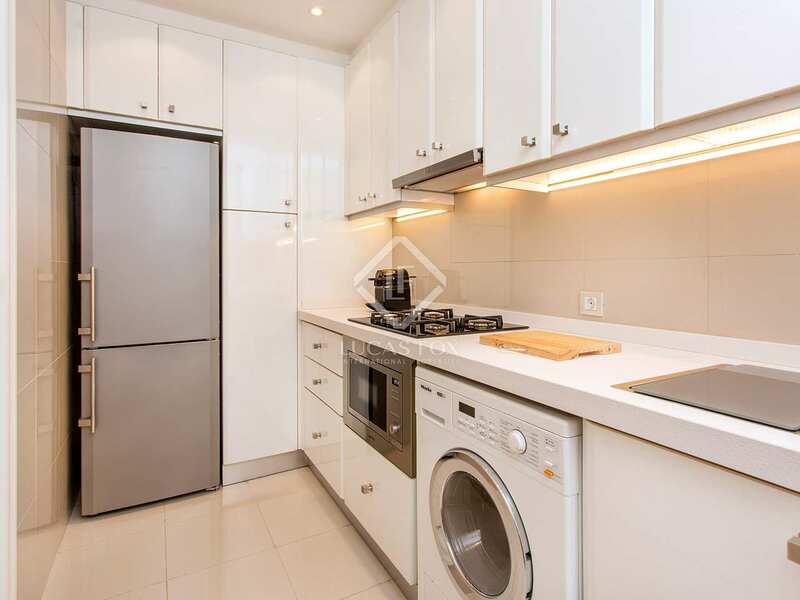 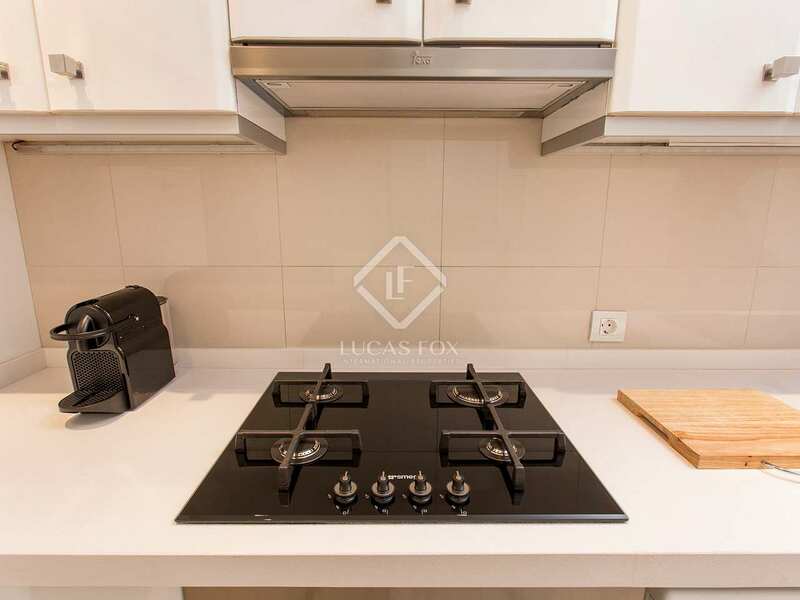 Fully furnished and equipped 2-bedroom apartment presented in move-in condition for rent next to Rambla Catalunya and Passeig de Gracia. 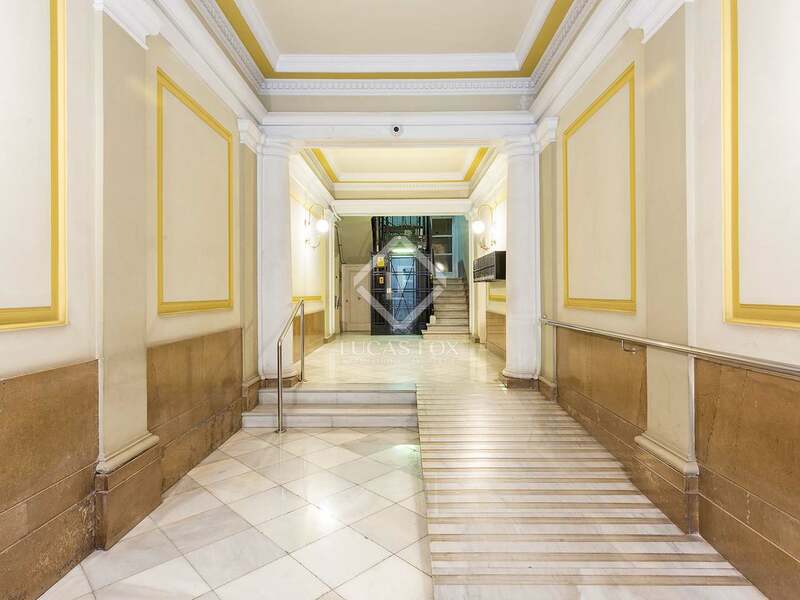 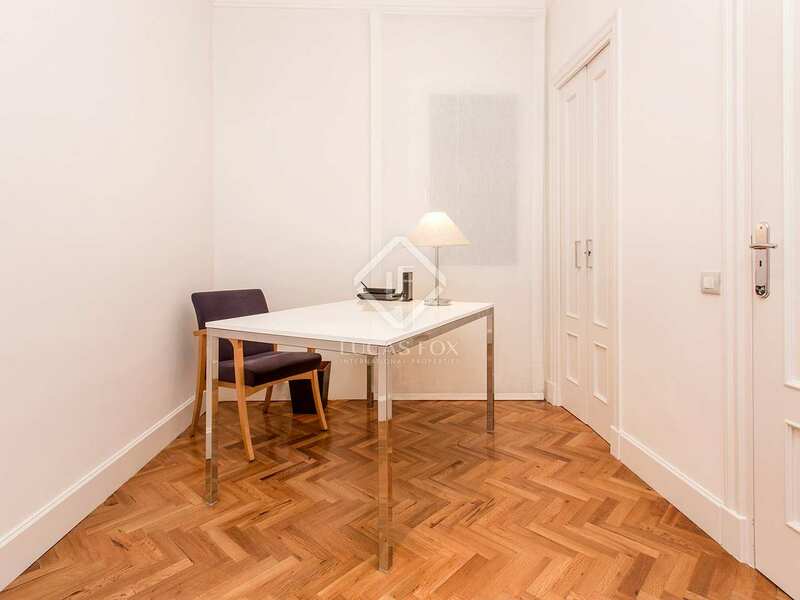 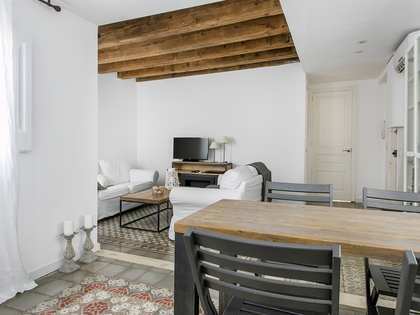 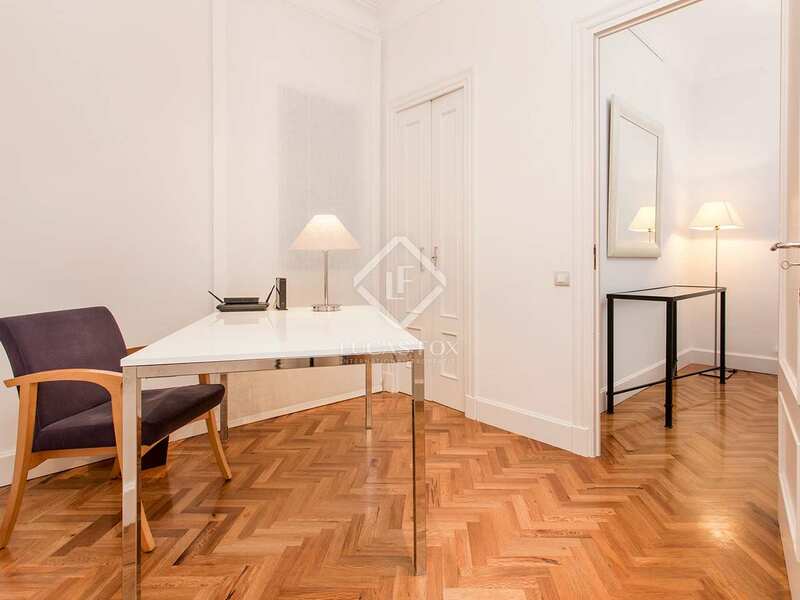 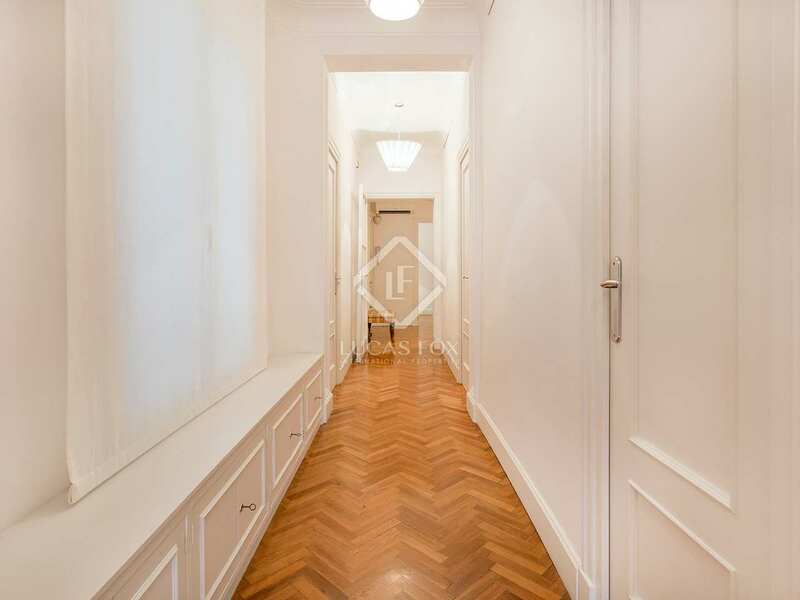 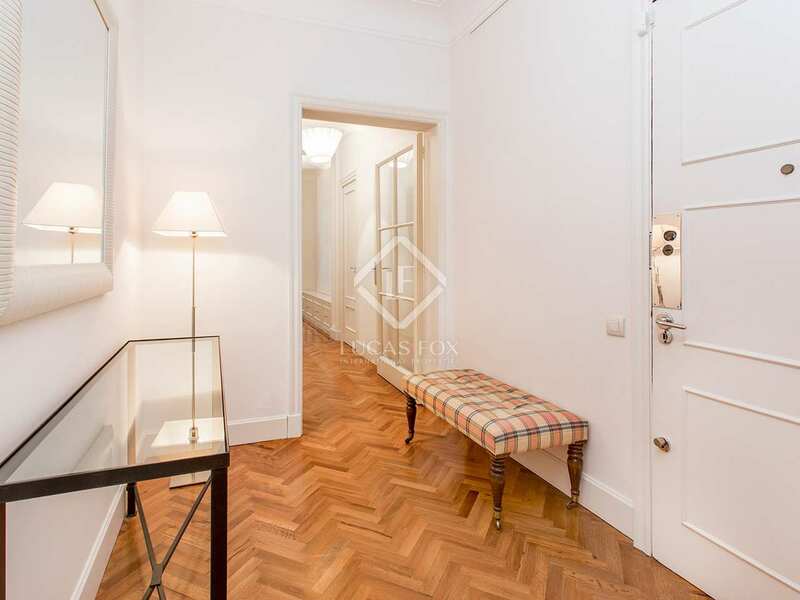 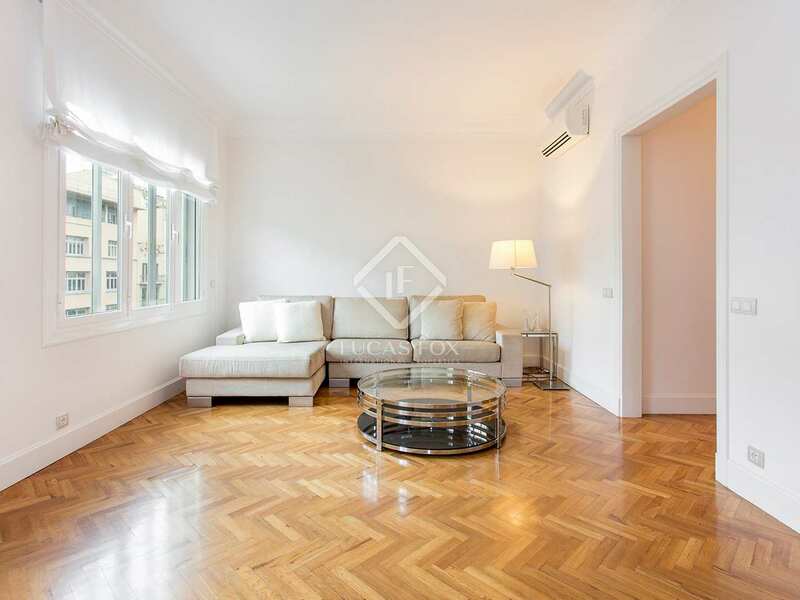 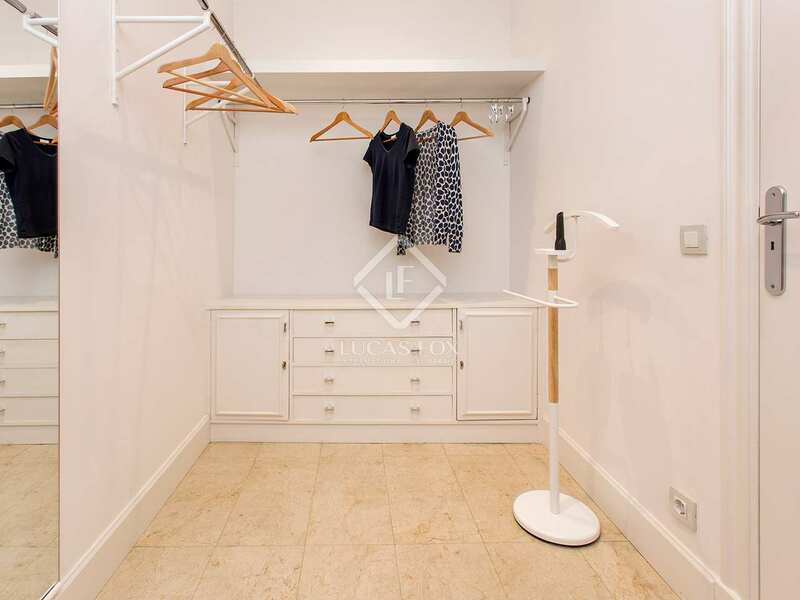 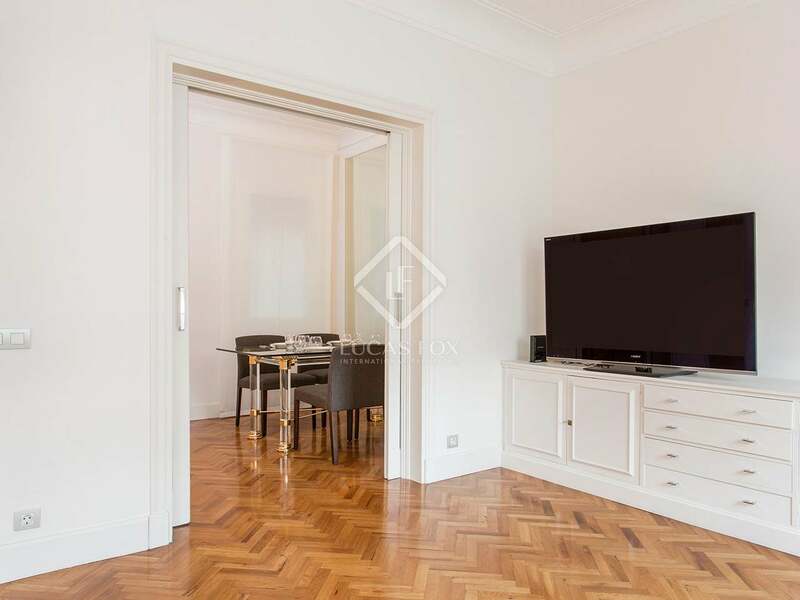 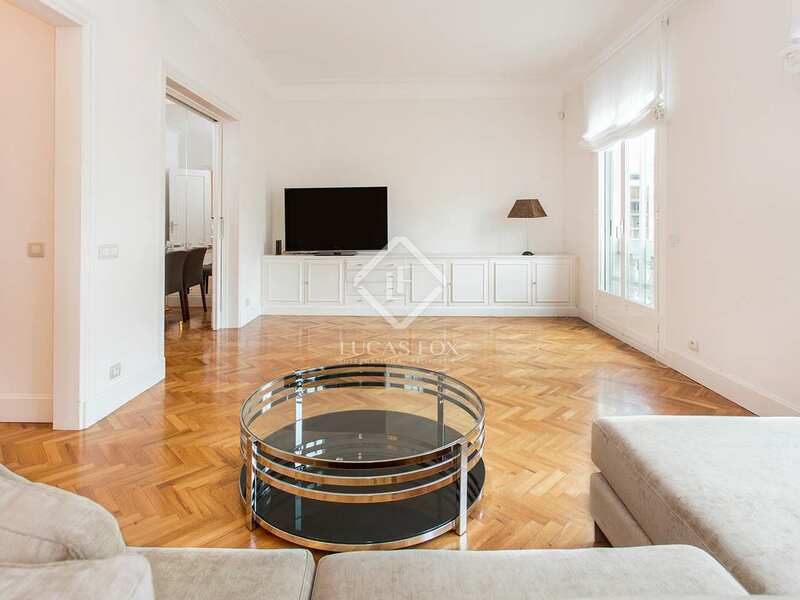 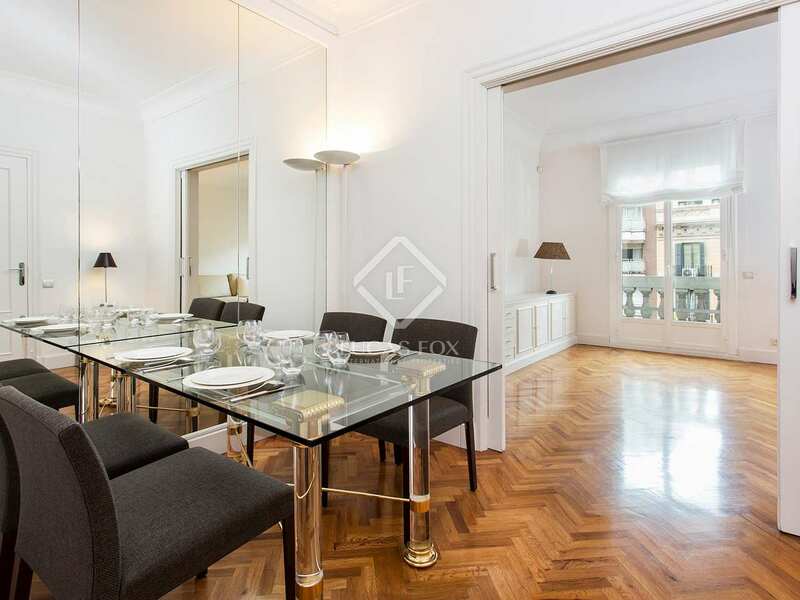 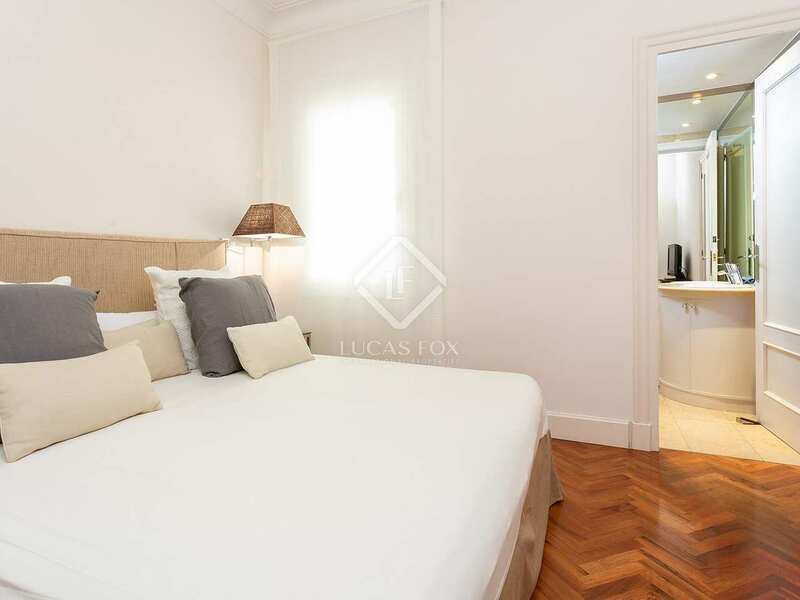 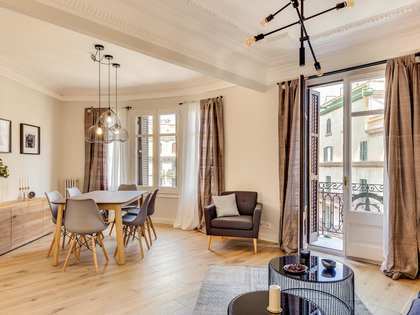 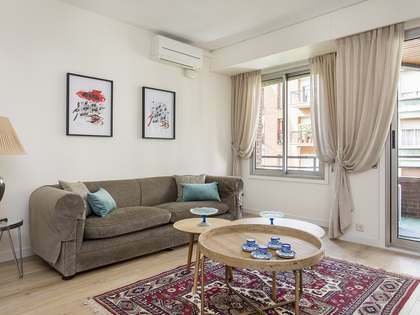 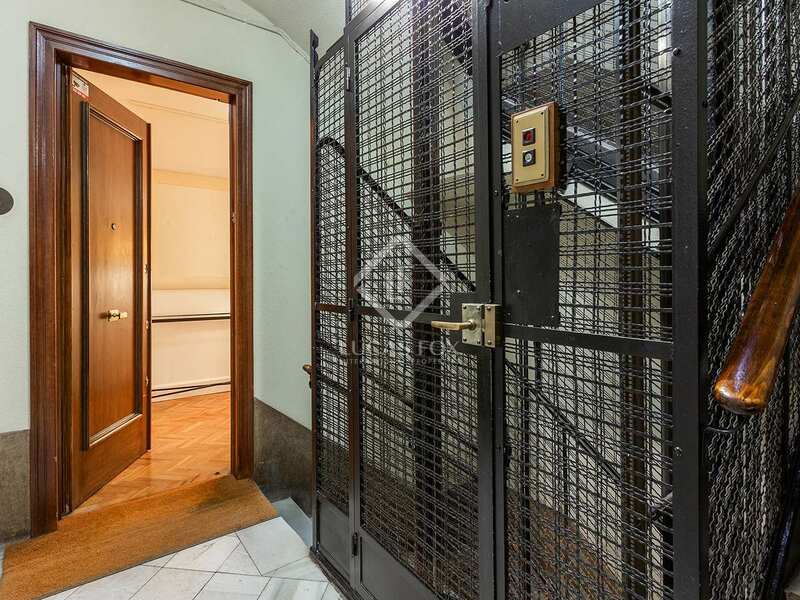 98 m² apartment located in a stately building of the Eixample, next to Rambla de Catalunya and 50 metres from the emblematic Passeig de Gracia. 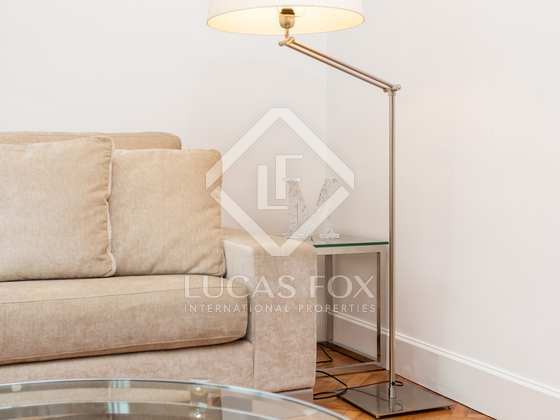 The property is delivered fully furnished and equipped, ready to move into. 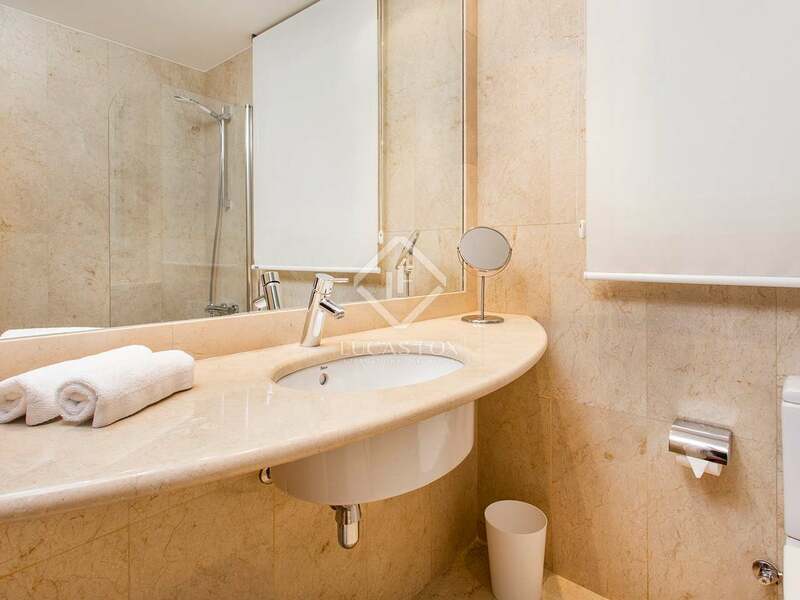 It has a large bedroom suite with a private bathroom with a shower and dressing room, another bedroom (currently used as an office) with a bathroom with a bathtub. 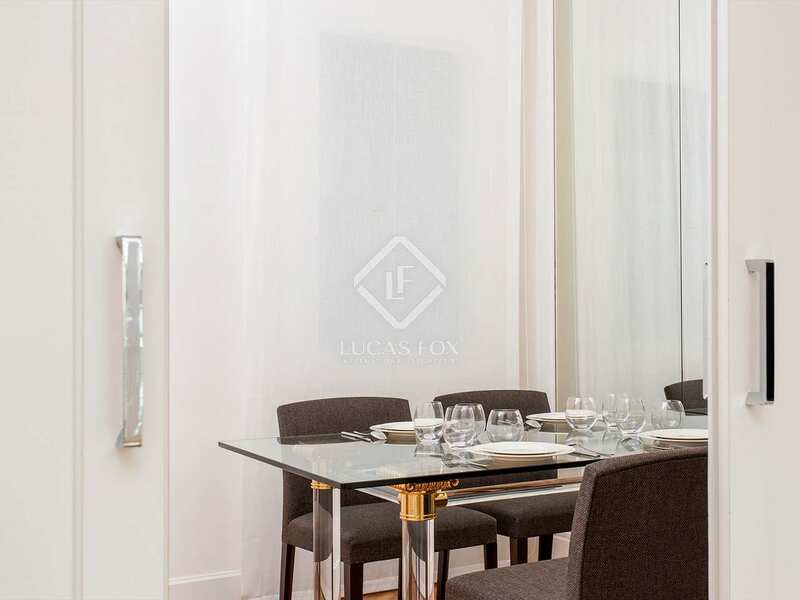 The kitchen is adjacent to the dining room, ideal for 6 people, and the living room has a large sofa. 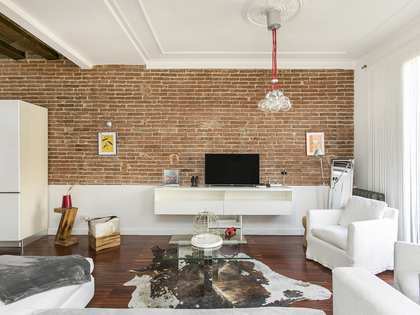 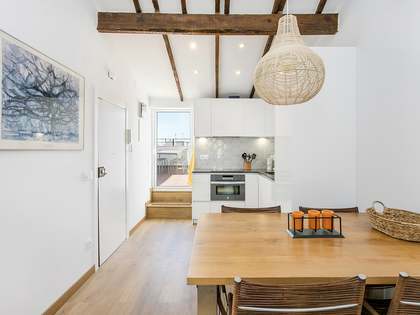 This space receives abundant natural light thanks to 2 large windows overlooking Carrer Aragó. 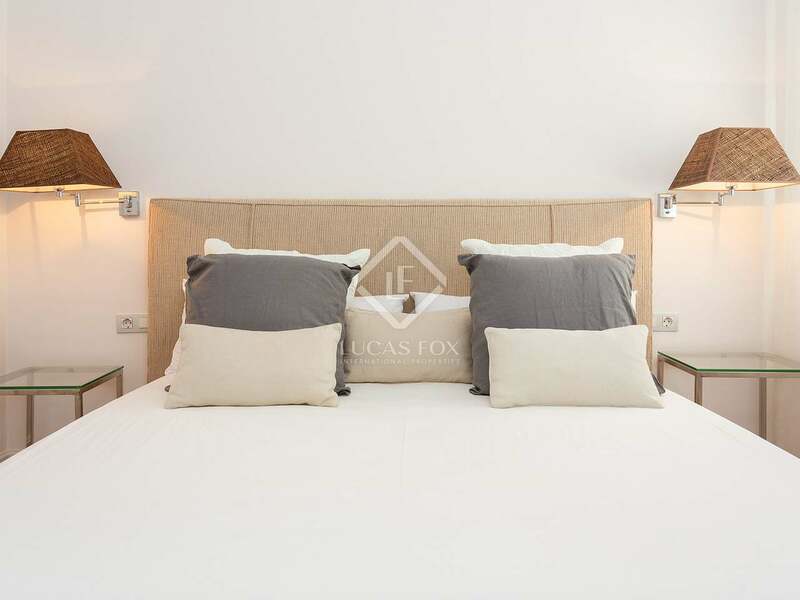 Some additional features include fitted wardrobes, wooden floors, air conditioning, heating and double-glazed windows. 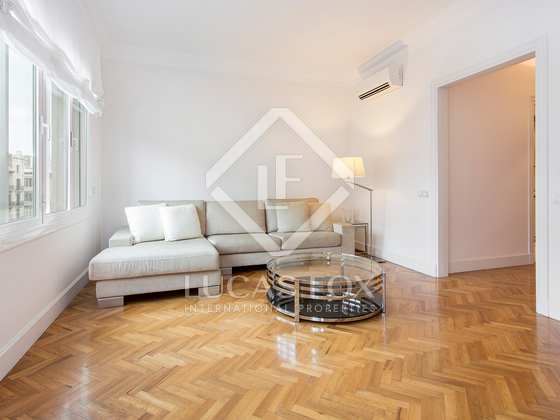 Contact us to arrange a visit to this beautiful apartment in the heart of Barcelona. 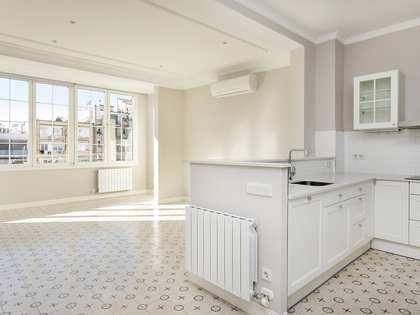 Apartment located in the Eixample Left area, in the heart of the city of Barcelona. 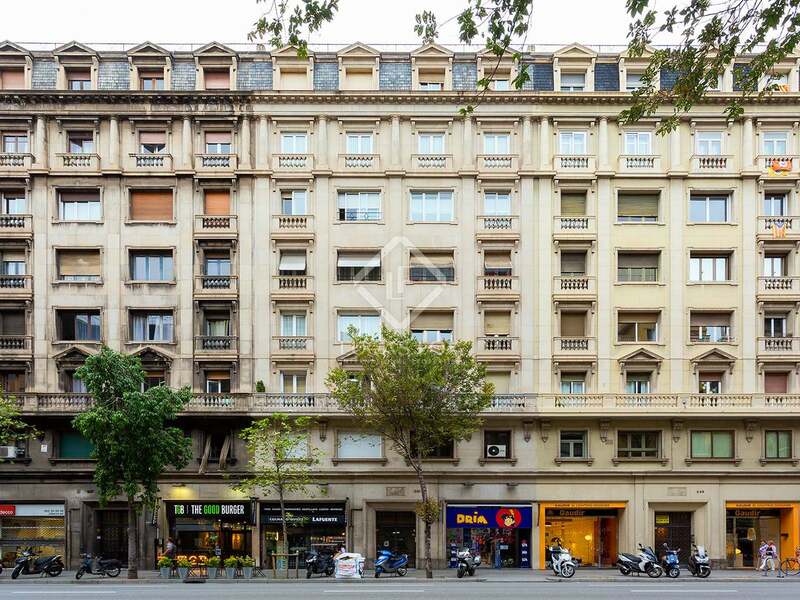 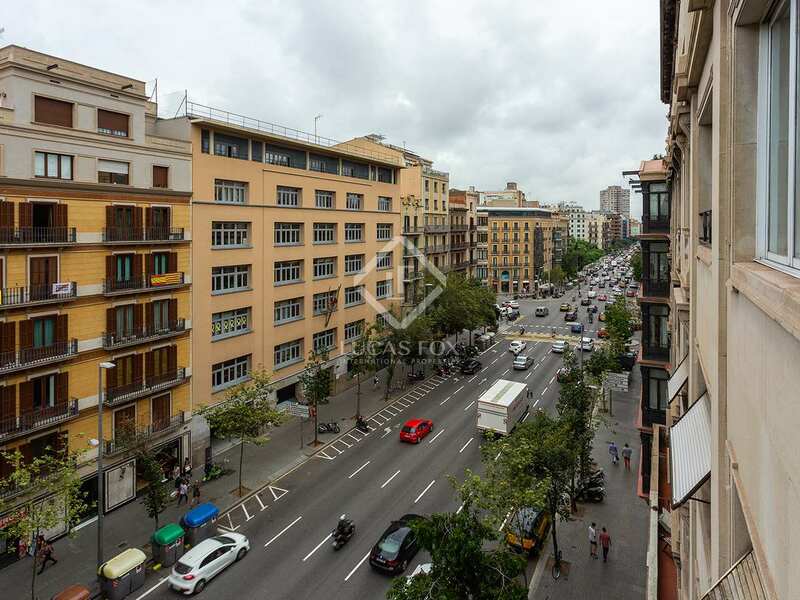 It is next to Rambla de Catalunya and only 50 metres from Passeig de Gracia. 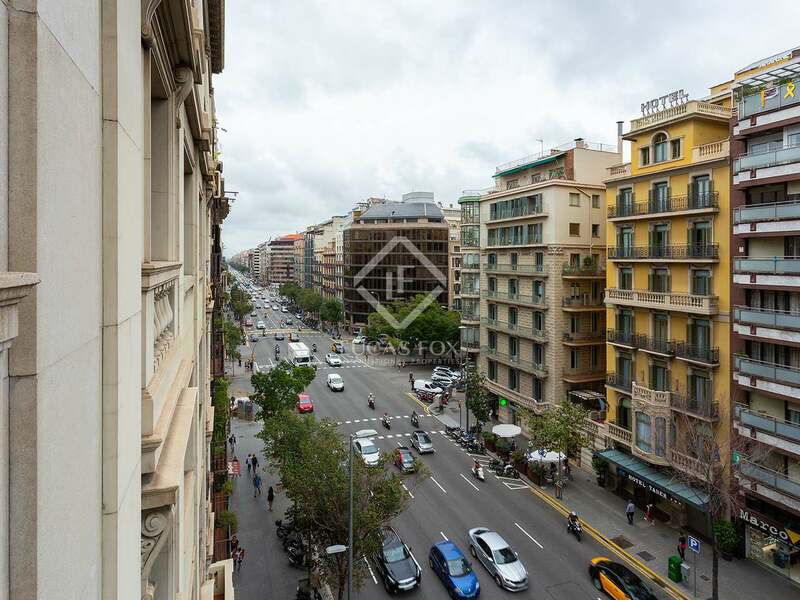 It is very well connected by public transport with the entire city.